Spring is upon us and many families are planning the summer ahead. It will not be long before our United Methodist Camps will be filled with excited children ready to enjoy the sunshine and encounter God in a fun new way, far from the hustle and bustle of our everyday lives. By now you may be aware, perhaps painfully aware, that the United Methodist camping program in Michigan has found itself in a challenging place, and has been required to make some very hard decisions. These decisions may impact where your children and family have historically attended camp. When United Methodist camping in Michigan was spun off into a separate corporation from the Annual Conference, the hope was that the organization would be able to more independently assess the needs and resources of United Methodist camping in the state, and arrive at a strategic plan on the basis of which challenging decisions could be made to secure the long-term future. For a number of reasons, that kind of plan was not able to be developed before difficult financial realities forced tough decisions, including the shuttering of four camp sites for the summer of 2019. Perhaps some of your favorite sites were among those shuttered, and I understand your disappointment and grief. What I want to say to you is that even though this is a difficult moment for United Methodist camping, our camping program continues to offer unparalleled opportunities for the children, youth, and adults of our churches to experience God’s love in Jesus Christ in unique and profound ways. Through the years I have served as a camp dean, made use of camps as a youth minister and pastor, and sent my own children to United Methodist camps. I have experienced first-hand the power of time away from the routines of life when God’s love in Jesus Christ could become deeply real, and when profound friendships could be formed. Through the years I have also heard the stories of others, of how camp was a place where they met their best friend or future spouse, of how camp was a place that made all the difference for their faith in Jesus Christ, of how the call of God to full-time Christian ministry was heard first at camp. Even now, there are dedicated camp staff and committed camp volunteers who want you, your children, your youth, to experience God’s love and grace in Jesus Christ in the unique ways camping provides. 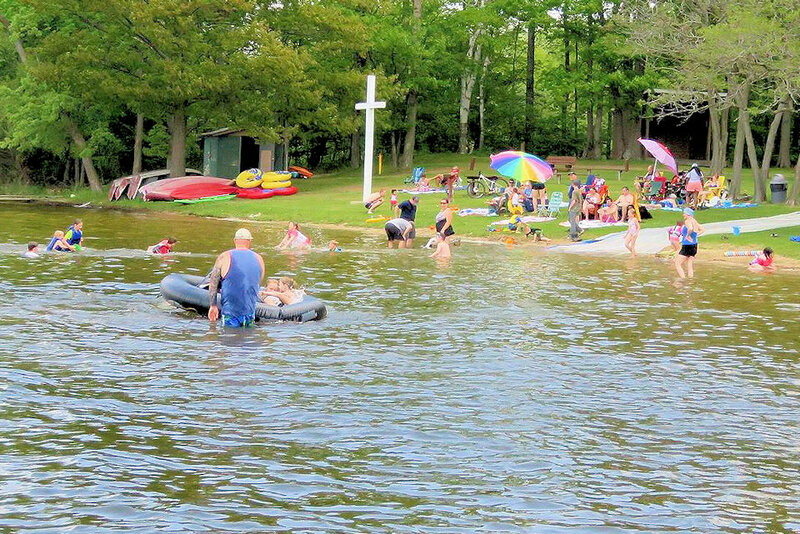 I encourage you not to let your disappointment about a decision made about a camp site you love, or the discouragement you may be feeling over some of the tough decisions that needed to be made, get in the way of you and your family taking advantage of the wonderful opportunities Michigan United Methodist camping still offers. Wishing you and your family a blessed summer!